If you've followed my blog for a while, you probably know I have an ongoing series of posts looking at Pixar's earnings from when they were a standalone public company. I started with their first quarter after their IPO (January - March, 1996), and am now up to the last quarter of 1998 (which I hope to post in a few weeks). 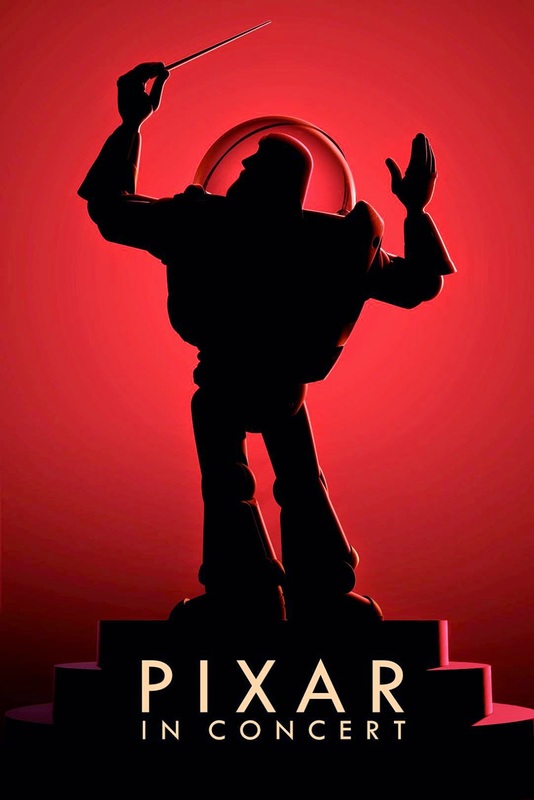 Pixar's earnings during this period of time was primarily driven by Toy Story - its theatrical release in November, 1995, the home video release in late 1996 and related merchandise sales. 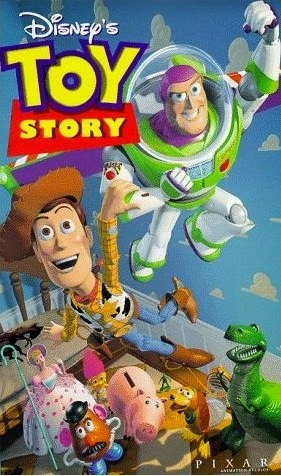 By the end of 1998, Disney and Pixar had received the majority of revenue that would be generated by Toy Story. Sure, there would be continuing revenue from merchandise sales and television syndication fees. But this would be minimal, especially compared to the imminent release of A Bug's Life. So I thought it would be fun to take a look at the revenue and profit Pixar made from Toy Story's original theatrical debut, home video release and merchandise. Gross profit margin - Wow! The reason it is so high is because of how the Feature Film Agreement was written. Disney reimbursed all production costs that Pixar incurred except for any budget overages. These payments were not treated as revenue but as cost reimbursements, which lowered cost of revenue to almost nothing. Notice how the profit margin started increasing in mid 1997 until it reached 100%. This was due to how much better Toy Story performed than expected, causing all production costs to be fully reimbursed sooner than Disney had expected. Once all the costs had been reimbursed, all revenue received by Pixar was pure profit. While Pixar had huge profit margins, the actual amount they made from Toy Story isn't very much. To put it into perspective, let's look at the revenues through 1996 which came from the theatrical release of the film. Toy Story made over $361 million worldwide but Pixar's revenues were not even $19 million, equating to only 5%. This was a big reason for Steve Jobs pushing for the Co-Production Agreement, which became effective with A Bug's Life and would give Pixar 50% of all revenue. Looking ahead to A Bug's Life, the new agreement would mean Pixar receiving half of all film and merchandise revenue, and in exchange would be responsible for half of all film production costs. Without spoiling future earnings report posts, it's easy to expect that while revenues will be significantly higher, we won't see profit margins of 90%! But I think it's safe to say the new Co-Production Agreement works out well for Pixar. Just as a tease, if we look at only a single quarter, the 3rd quarter of 1999, Pixar reported $77 million in film revenue and $55.8 million in profits. Those numbers for that single quarter are higher than the total that Pixar made from Toy Story! I'm thinking of starting a new series of posts to highlight cool and interesting Pixar-related news articles, interviews and other events. There's so much going on with Pixar, I'm hoping these posts will capture a good portion of the interviews and technology events that are occurring. If this works out I hope to have a post every week or two. To start with, Fortune has had a couple of excellent posts recently. As part of their recent cover story on The Walt Disney Company, they interviewed Disney and Pixar president Ed Catmull, which covered Pixar's spin-out from Lucasfilm, their merger with Disney and the use of technology in animated films. They also did an in-depth piece on Disney CEO Bob Iger and his role as CTO, which not only covered Pixar but Marvel, Star Wars and technological changes in their theme parks. Pixarian Colin Levy tweeted a link to an article on short films that launched the careers of famous directors. 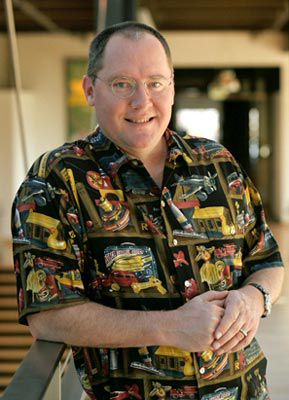 The article included John Lasseter for the short film Luxo, Jr., which was released in 1986, the year Pixar spun out of Lucasfilm and became a standalone company. The article itself linked to an interview Entertainment Weekly did with Lasseter which went into more detail of the making of Luxo, Jr. and other early short films like Red's Dream and The Adventures of André and Wally B. 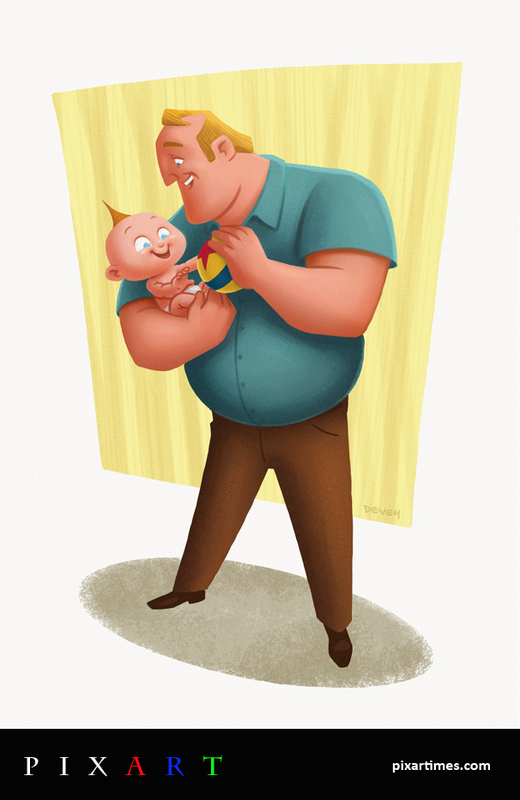 Did you see the pre-production artwork for the Toy Story 3 film that never got made? Former Disney artist Jim Martin has released a number of pieces of concept art from when he was at Circle 7 working on the sequel. This was back before Disney bought Pixar and there was a lot of animosity between the 2 CEOs. Fortunately Bob Iger became CEO, purchased Pixar, and put Lasseter and Catmull in charge of animation of both companies. The new leaders immediately put a halt to the sequel and closed down the division. There have been a couple of recent videos demonstrating the story process at Pixar. First, CGMeetUp posted a video of Monsters University Head of Story Kelsey Mann showing how to pitch a movie scene. The post contains a number of links to other behind-the-scenes clips from Monsters University. Second, Story Supervisor Matthew Luhn posted an old video of Andrew Stanton and the late Joe Ranft demonstrating the pitch process, with Ranft pitching an entire scene from Toy Story. Note how Joe is pitching the "old fashion" way, standing up at a board with story cards pinned to it, while Mann does his pitch digitally using a computer. Although Luhn has only been on Twitter for a short time, he has quickly become one of my favorite people to follow. Many of his tweets contain great behind-the-scenes videos and helpful tips. I highly recommend following him! There are a couple of cool auctions going on at the moment. The first, which I wrote about this weekend, is the Art to Heart fundraiser to raise money for helping those impacted in the Philippines by Typhoon Haiyan. Many of the original art pieces were created by past and current Pixarians such as Ronnie del Carmen, Ricky Nierva, Matt Jones, Dice Tsutsumi, Robert Kondo, Chris Sasaki, John Hoffman and others. This is beautiful artwork and it's going for a great cause. The second isn't Pixar related but is still wonderful. Cartoon Brew recently posted about an auction that the stop-motion studio Laika is holding on February 12. It doesn't sound like this is an online auction but will include puppets and props from all 3 of their films - Coraline, ParaNorman and The Boxtrolls. A portion of the proceeds will go to The Art of Elysium organization. And for something fun to end on, David Lally tweeted some simulation bloopers from the making of Brave! If you come across any Pixar-related interviews or news articles, please send them my way and I'll include them in a future post. Art to Heart is giving you an opportunity to buy some awesome artwork and movie memorabilia, while at the same time helping those affected by Typhoon Haiyan which devastated the Philippines in November of 2013. The artwork and memorabilia, much of it Pixar-related, is being auctioned off with the proceeds going to International Disaster Volunteers to help rebuild the areas damaged by the typhoon. There are a couple of auctions you can take part of. The first is an online-only auction that ends Sunday, January 11 at 8pm PST. This auction contains 20 items, many signed by Pixarians. Some of the items up for bid include The Art of A Bug's Life, signed by co-director Andrew Stanton, The Art of Pixar, signed by John Lasseter and Ed Catmull, and a limited edition Brave Merida & Elinor Bear Pin, of which only 650 were made and were sold exclusively by the Pixar Studio Store. A second online auction featuring original artwork will begin immediately after the first auction ends Sunday and will run until January 15th. 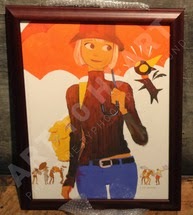 This artwork will then go to a live auction at 111 Minna Gallery in San Francisco on January 16th. The highest bid on each piece during the online auction will become the opening bid for the live auction. They will ship the artwork to the winner if not present for the live auction for $10. Artists such as Dice Tsutsumi, Jason Deamer, Matt Jones and Ricky Nierva have donated artwork. Which piece catches my eye the most? I'd have to say Typhoon Nina by Ronnie del Carmen. I am a huge fan of Nina and have a couple of books Ronnie has authored and illustrated. I could sit for hours and admire Ronnie's illustrations; there's a depth to Nina's expressions that I find mesmerizing. So head over to the Art to Heart website and take a look at both auctions and the items up for bid. If you live near San Francisco, the artwork is available for viewing at 111 Minna. And if you're able, make a bid on one of these one-of-a-kind items, and help make a positive impact. It's the start of a new year, and I thought it would be fun to look back at 2014 and highlight some great Pixar content I found from both well-known and some, maybe not so well-known, websites. I should say right up front the title is a bit misleading. I don't want to imply this list is a "Best Of" list. Rather, these were events, sites and podcasts that caught my attention and I hope ones that, if you're looking for some new Pixar content, might pique your interest. Plus, you'll notice many aren't Pixar-specific but are great sources for animation, technology, pop culture and overall geeky goodness. The Pixar Times is one of the oldest Pixar news site and has been covering Pixar news for many years. The site also has a section for Pixar-related artwork called PixArt, which is full of many beautiful pieces of art and is curated by Jerrod Maruyama. It's well worth your time to stroll over there and spend time looking at it. I especially like the November Feature II piece featuring Mr. Incredible and Jack-Jack. There was no Pixar film in 2014, but there were still a couple of big Pixar events. The first was the release of Ed Catmull's book Creativity, Inc. I love this book and recommend it to anyone interested in Pixar, business management or how to work in and sustain a creative culture. Catmull did a number of interviews promoting the book, and you can find many great reviews of the book. The Pixar Post launched their book club with Creativity, Inc., and The Incomparable podcast, hosted by Jason Snell, did an episode reviewing the book. I enjoyed listening to Jason and his guests, all who are obviously Pixar fans, discuss the book and highlight a number of the same important points I enjoyed from the book - the egoless environment, the fact that Catmull was so open in discussing their failures and how they're constantly working to create an environment to not avoid failures but make it safe to fail and then figure out how to move forward. If you're into pop culture, I highly recommend checking out The Incomparable (I greatly enjoy their Doctor Who flashcasts). The second big Pixar event to me was Pixar in Concert. Yes, I realize Pixar in Concert didn't start in 2014 but it's when I was finally able to see it! Music is such a critical component of Pixar films and almost all of their scores have left big impressions on me. So to hear this music live was really an emotional and fun event. If you're familiar with Dan the Pixar Fan, you know that he has a passion for Pixar merchandise. He has daily posts on his wide-ranging collection of Pixar memorabilia (how he does a post every single day is a mystery to me!). But earlier this year he wrote about his and his wife Brita's experience at Pixar in Concert in Salt Lake City. Go check out his post on the concert and then check out some of his merchandise posts. Pixar's next film Inside Out will not be released until June 19, but it's already been generating huge excitement. In early December, director Pete Docter took over the PixarInsideOut Twitter handle to answer fans' questions regarding the upcoming film. I've posted before how much I enjoy hearing artists discuss the making of a film or their other projects, and this is the second time Docter has done this, his first being a Reddit AMA he did a couple years ago. Did I just mention that I love listening to artists talk about the making of films? Yes? Well then, The Pixar Post gave me close to a year of behind-the-scenes goodies with their Pixar Pipeline Project. Throughout the year, T.J. and Julie interviewed 8 different Pixar artists, one in each of the main departments a film goes through during development and production. Listening to the artists, you really get a sense of the passion and excitement they each share for their work, and after each episode I'm always amazed at the detail each department puts forth. These episodes are a great way to learn about making animated films, the artists themselves and what it takes to get into the industry. The last episode should be coming out early this month. In addition to the Pipeline Project, there were some other excellent interviews with Pixarians throughout the year. The first was episode 12 of the Toon Talks Podcast, where Sandra interviewed Pixar animator Bret Parker. 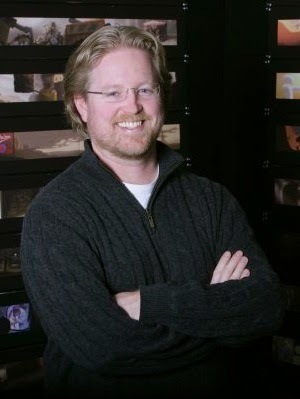 You may recognize Bret as the amazing voice of Kari McKeen from The Incredibles. I love Bret's enthusiasm, and she gives some great tips for beginning animators - the value of acting in animation, knowing your character, showing your work often and just as important, showing it to the right people. The second interview was the Something Something Experience Podcast interviewing storyboard artist Christian Roman.This was an in-depth interview and went into a lot of Christian's pre-Pixar history such as Mission Hill and The Simpsons. They also briefly discussed Inside Out, the importance of improvisation and hand-drawn art. They even took a detour to discuss Burning Man! I really liked the consistent message from both Bret and Christian on the importance of acting and improvisation, and how they use these techniques to "plus" scenes. Also, a cool coincidence: shortly after Christian's podcast came out, Pixar Story Supervisor Matthew Luhn posted a tweet titled Storyboarding the Simpsons Way - notes from Brad Bird that Christian had documented and illustrated from their time working on The Simpsons. It's full of great tips and examples for creating compelling storyboards! 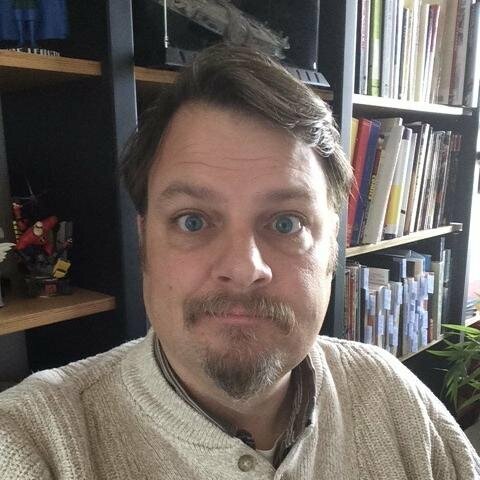 Finally, Len Peralta interviewed Dr. Michael B. Johnson as part of his Geek A Week series. 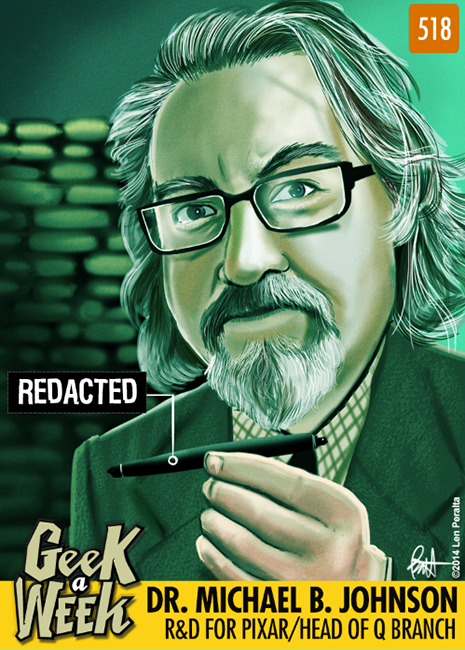 Peralta's project started as an effort to interview 52 geeks in 52 weeks and draw them as trading cards, and fortunately has continued beyond that first year. The interview goes into Johnson's history at Pixar, a fun discussion on Dungeons & Dragons and the secret thing he geeks out about. I sadly was not aware of this project until Johnson's interview, but have listened to a number of other episodes since and have many others queued up! So that's my list for 2014! I wrote a similar post a couple years ago and it was fun to go back and revisit it as I wrote this one. Anyways, I hope this post gives you some new sources for Pixar and other cool content. What about you? I'd love to get some recommendations for podcasts or sites. If you have any, leave them in the comments below, and have an awesome 2015! !